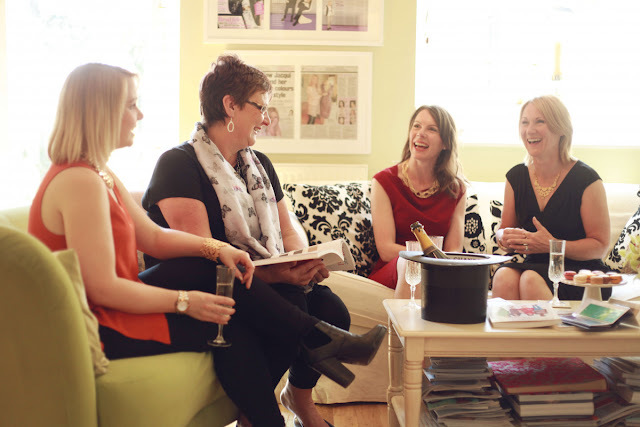 Did you know that I trained as a colour and style consultant with Colour Me Beautiful? We're talking many moons ago, must be getting on for 10 years now. And even though I have no affiliation with the company anymore, I still truly believe that their analysis system is the best. For one, they ditched the seasons a long time ago and replaced them with tonal analysis which offers a far more flexible and personal palette for each and every client. Anyway, I knew something was going on over at CMB HQ. Call me Detective Donna, I am the ultimate sleuth. 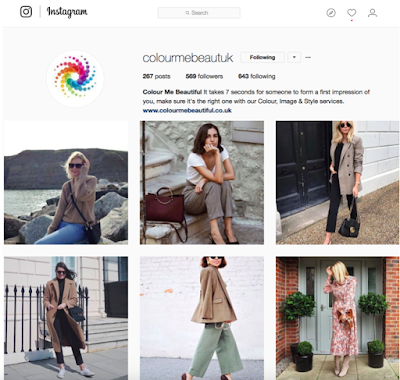 Suddenly their Instagram got a whole lot busier, bursting at the seams with inspiration. And little montages of practical, colourful, but affordable clothes over on Facebook. Go on show them a bit of love and make friends, you might pick up a tip or too. right below Emma Hill, my guilty pleasure. She's very funny too! And then I got an email from an old colleague telling me that Cliff had bought the company. And it all made perfect sense. Who's Cliff I hear you ask? That'll be the Cliff who has lived and breathed Colour Me Beautiful for the last 34 years and spoken to over 20,000 women. Top consultant with more knowledge of colour than anyone I know. He also trained me and became my mentor. Lucky me! I couldn't think of anyone better to own the company. Fast forward a few months and I saw something on Facebook about a new initiative, Business In A Bag. I should probably use its correct name, colourmebeautiful@home. It seemed such a great idea for anyone interested in getting involved with CMB and I couldn't resist picking up the phone. Cliff is one of those people that you can go years without speaking to and within 10 seconds, you're chin wagging as if there's no tomorrow. So I'm sure that you're ever so interested in all of this and wondering what the point of the post is. Well, since writing this blog, I've had many enquiries from women who are interested in becoming colour consultants and seeing the recent Facebook post, well it seems a really great way to get your foot on the ladder. So what is this Business In A Bag? At the end of your training, you will be qualified to hold Colour Me Beautiful make-up parties. Yeah, yeah, yeah lots of brands do party planning, I know. But you will have one ma-hoosive benefit over and above any of these. And that is....YOU will understand colour! YOU will be able to advise women on what colours work for their skin tone, hair and eye colour. Tell me anyone who isn't interested in that! If you're interested in finding out more, take a look at this short video. I used to run colour parties back in the day and they're great fun. But there was one belly ache, and that was the amount of equipment that I had to schlep around with me. This is why colourmebeautiful@home is so clever. Everything you need is in that purple bag. So you turn up and crack on. Brilliant! The video above will give you a good idea of what's included. You can increase your income further by recruiting fellow advisers. 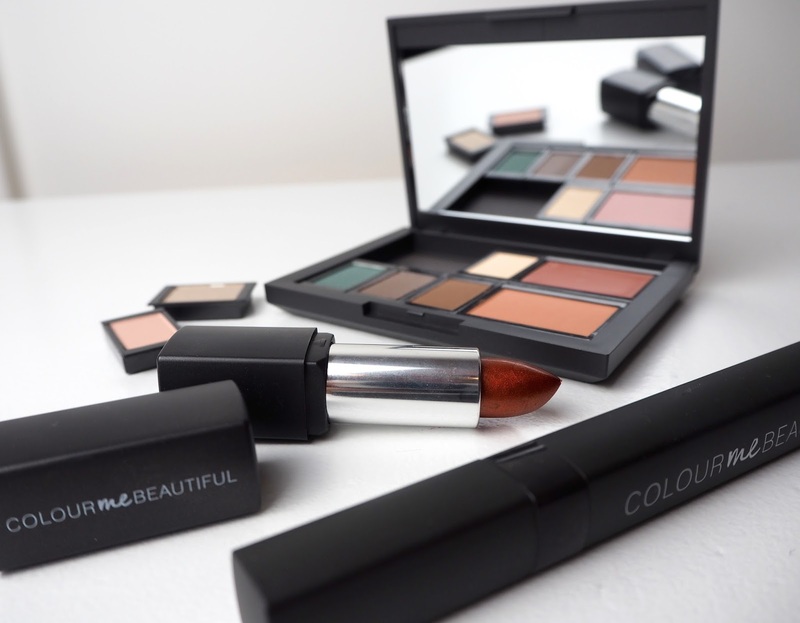 Have you tried Colour Me Beautiful make-up? It's actually very good and I still use some of it even today. You won't find a better teal eye pencil on the market and for less than a tenner too. Cliff and his team have spent a long time designing new packaging and hats off to them, it's very slick. Gone are the old black palettes and in their place are beautiful graphite grey compacts that you can fill with the perfect colours for your shoppers. Of course this means that they only buy what really suits them. Don't get me started on the one-for-all Elizabeth Arden Christmas gift with purchase thingy. How on earth do they expect the Iced Grape lipstick to suit everyone?? Anyway, the new packaging is fabulous and has been so well thought out. Even the lipsticks are soft squares so they don't roll about (I'm looking at you Mac...how many times have I chased your lipsticks across the dressing table?). Cliff very kindly sent me a few bits so that I could touch and feel the new packaging. Have to say, I'm very impressed. From my experience, the make-up sells itself but now it feels so much more luxe. You won't be able to do full colour and style consultations, these are far more complex and require in depth training. This is all about make-up and tailoring a business to your own lifestyle whether that's holding small parties for friends and families or taking it up a few levels and running a full time business. That's your choice to make. However if you want to make the leap and become a consultant in the future, it's a great way of getting in at ground level. Alternatively, holding a CMB make-up party is brilliant fun. Grab a few friends, open the wine and be prepared to learn. I guess Becky will be able to point you in the direction of your local advisers..
Cliff is one of the most honourable people you could ever wish to meet and I hold a fondness in my heart for him. Oh and he's funny too. King of the one liners. I couldn't think of a better boss to work for and I wish him every success because he deserves it. Well, I hope that didn't come across as too much of a sales pitch. It wasn't supposed to be. As I said, lots of you have contacted me over the last 4 years to ask about becoming a consultant, this is an alternative and very cost effective way to get your foot on the ladder.